Congratulations to Daire Cleary, who’s name was drawn at random earlier today as the winner in our latest competition. 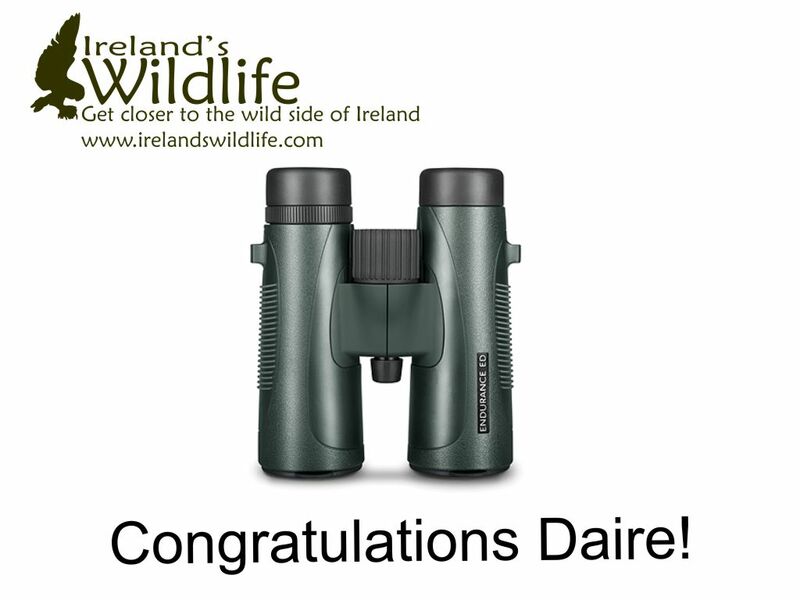 We’ll be getting Daire’s prize… a pair of excellent Hawke Endurance ED 8×42 binoculars. I was really impressed by the Hawkes when I reviewed them recently, and I’m sure that Daire will enjoy many fabulous up-close wildlife experiences with his new binoculars. A huge thank you to the folks a Hawke Optics UK and Ireland for making this great prize available. If you didn’t win this time around thanks for taking the time to enter, and don’t forget to keep an eye on the website and social media channels for more chances to win great wildlife and nature prizes over the coming months. NB: The easiest way to make sure you don’t miss out on a chance to win is to subscribe to the Ireland’s Wildlife mailing list. Simply fill in the form below and we’ll send relevant updates straight to your inbox.